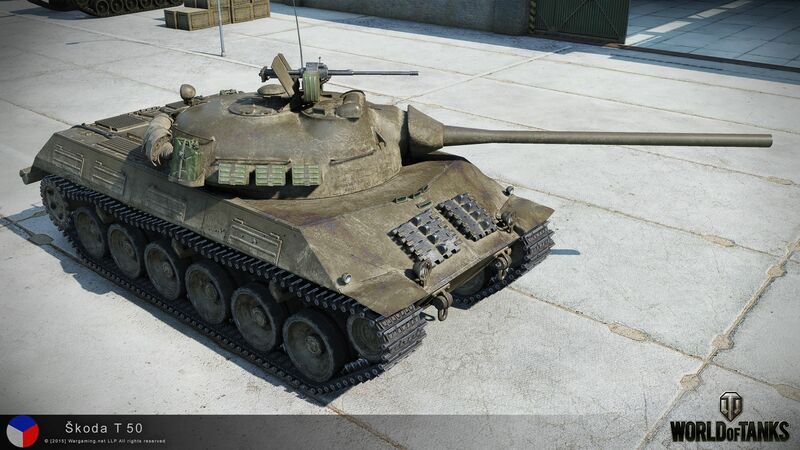 With the Škoda T 40's arrival in the Premium Shop in the last update, it shouldn't be a surprise that we're adding an entirely new line of Czech medium tanks to World of Tanks! 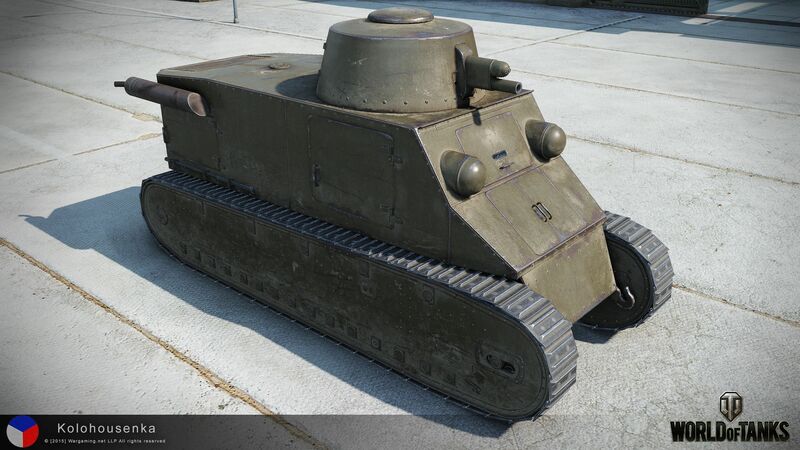 Kolohousenka plays like other tier I vehicles, but its appearance is quite striking. 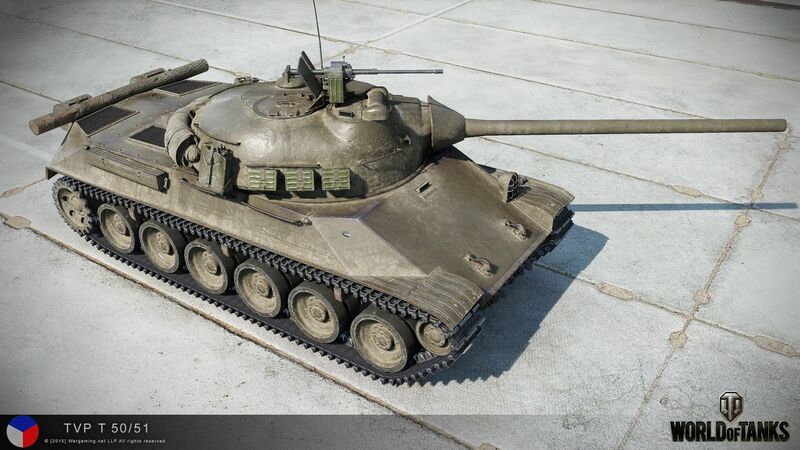 It features a good gun, with good damage per minute for a tier I vehicle and a smooth aim, ideal for beginners. 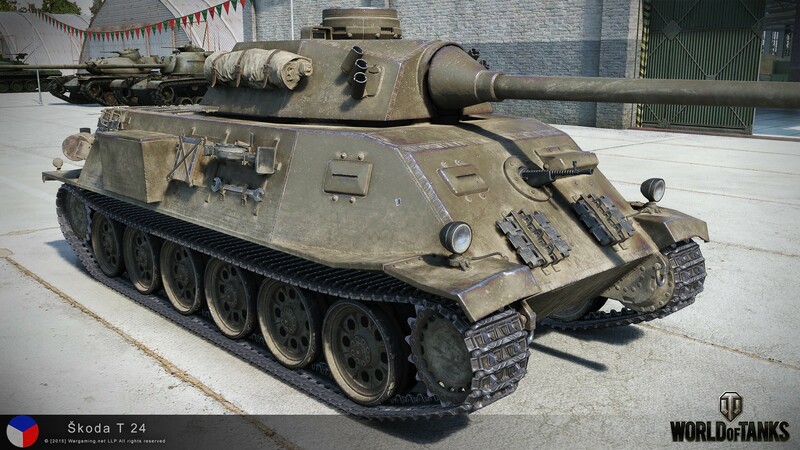 However, the tank lacks a certain mobility and its armor isn't outstanding compared to other tier I vehicles. The LT vz. 35 is the Czech version of the Pz.Kpfw. 35 (t), a tier II German light tank. It doesn't differ significantly from its German counterpart in armor or appearance; however, its 37mm Škoda A8 gun is comparable to the German 37mm guns, with more smooth aiming and armor penetration. 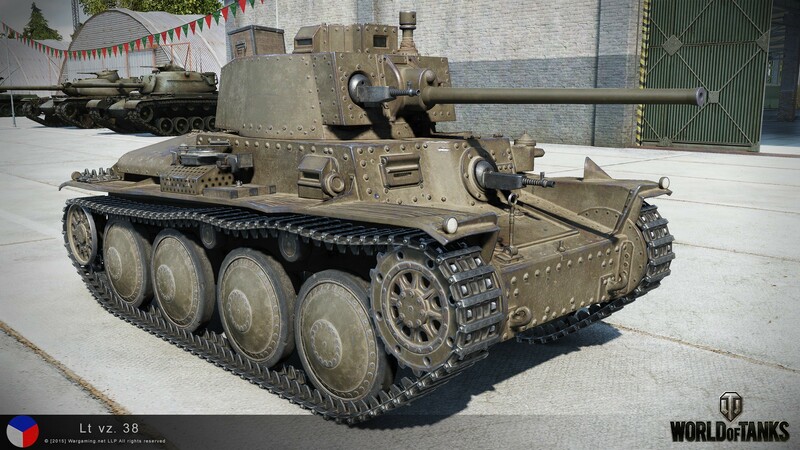 This tier III light tank is another Czech version of a German light tank, the Pz.Kpfw. 38 (t). Again, they don't differ a whole lot in regards to their armor and appearance, but in their weapon and mobility. The LT vz. 38 has an auto-loading three-shell gun, a bit longer of a load time, and average mobility. 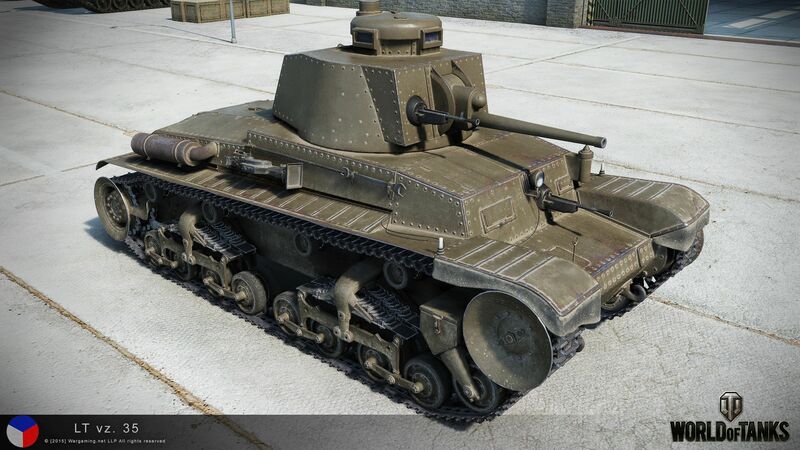 The first medium tank in the Czech tree, the ST vz. 39 stands out with its top 47mm Škoda A11 vylepšený gun, which has one of the best aiming parameters of its tier. Due to its limited mobility and somewhat weak armor, the angle and position of the vehicle when engaging the enemy is vital to survival. 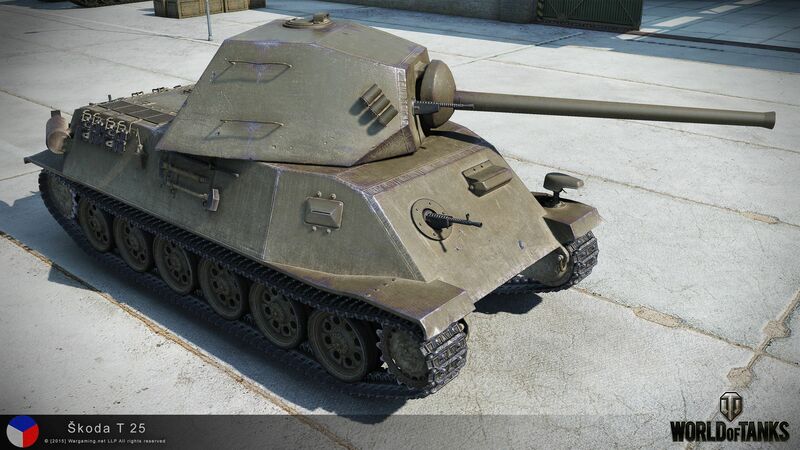 The Škoda T 24 is a classic jack-of-all-trades tier V medium tank. With both a powerful gun and fair mobility, the Škoda can take on a variety of roles on the battlefield. 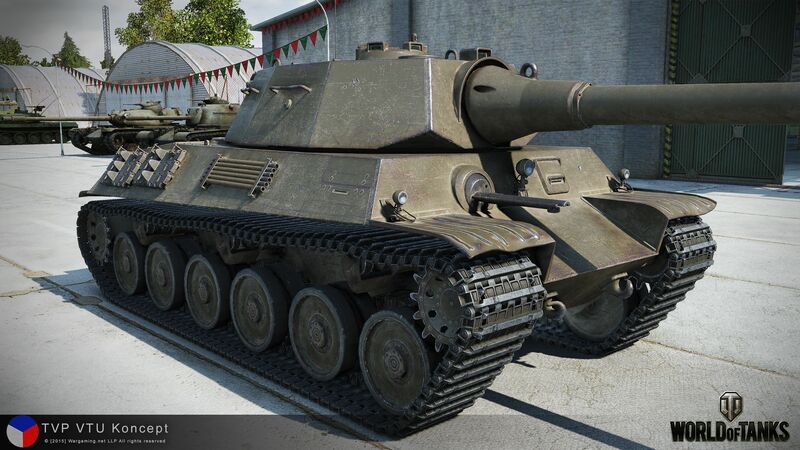 Similar in appearance to the tier V German T25, the Škoda T 25 has noticeably better mobility and a unique gun for a tier VI - a 75mm auto-loading 3-shell gun capable of a total damage of 330. The best tactics are similar to other auto-loaders: focus your fire on a single enemy from an advantageous position and take them out before moving on to your next victim. 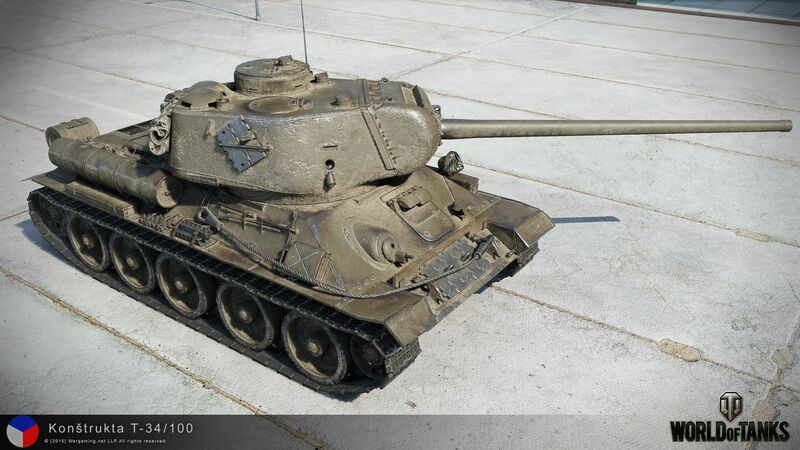 A Czech copy of the Soviet T-34, but with a much more powerful gun - 100mm with 175mm armor penetration and 250 HP alpha damage.The Konstrukta can take on any medium tank of its tier, but be wary of enemies with high damage per minute. When the 10.5cm gun is mounted on this medium monster, you'll be able to cause 320 alpha damage, comparable to heavy tanks of its tier. However, with lower damage per minute, you'll need to use more ambush tactics to surprise your enemies into submission. 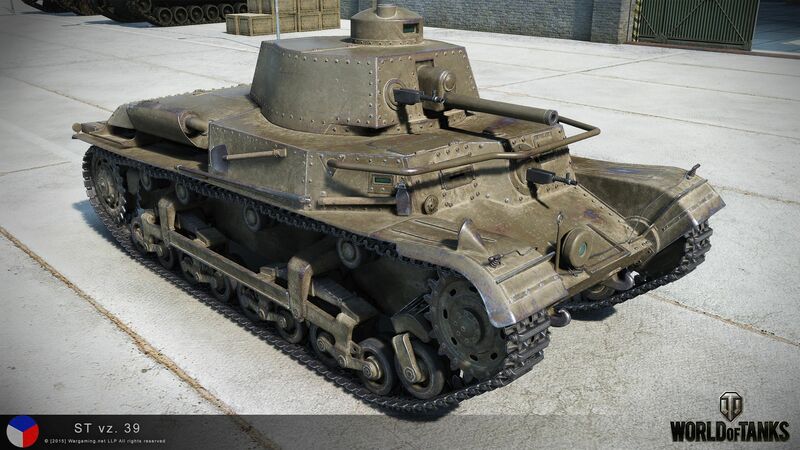 As with the tier IX and X French tanks, both Czech tanks are armed with auto-loading three- and four-shell guns. With excellent aiming qualities, these high tier medium Czech tanks can outperform its French counterparts, Lorraine 40 t and Bat.-Chattillion 25 t. The main difference is the quick reload time, high alpha damage and great maneuverability. Check out more screenshots on the In Development page!